After major enhancements, there are even more plants and peaceful places to treasure in this Seattle landmark. 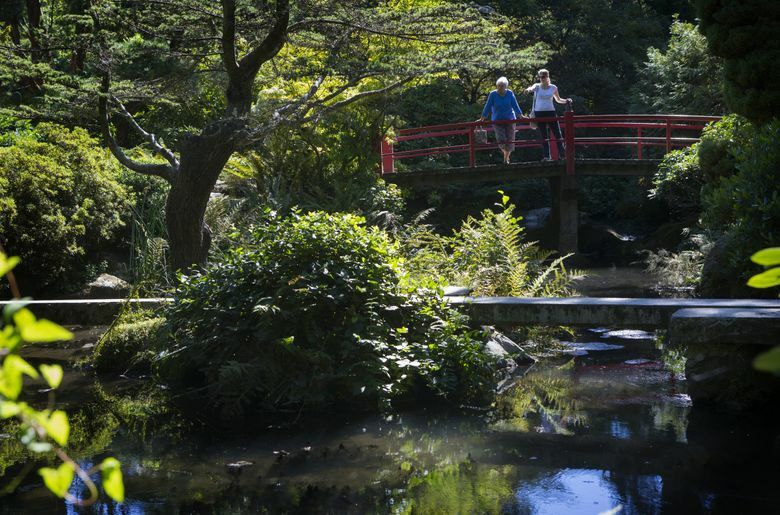 KUBOTA GARDEN, a Seattle gem, turned 90 last year. Fujitaro Kubota was a Japanese immigrant who developed a new style of gardening that utilized the elements typically seen in traditional Japanese gardening but in a less restricted manner. 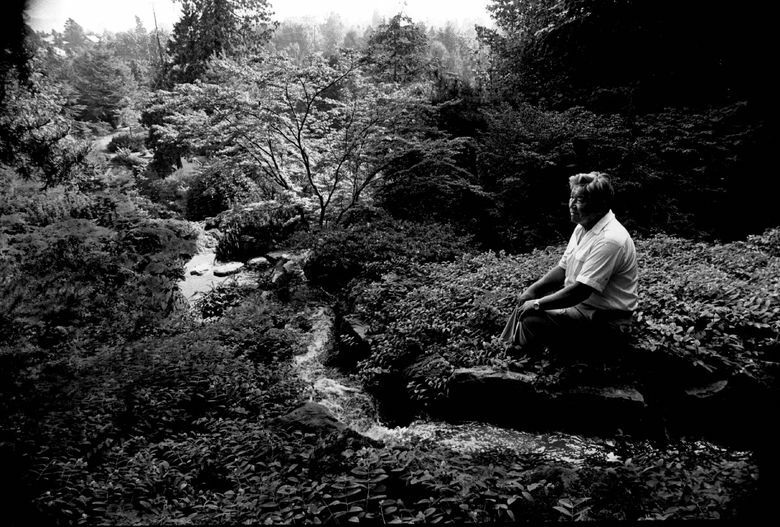 He also broke with Japanese garden tradition by integrating mature trees and shrubs, many native to the Pacific Northwest, into his designs. Kubota started his garden design and installation company in 1923. As the quality of his work became known, he soon was creating gardens throughout the Seattle area. 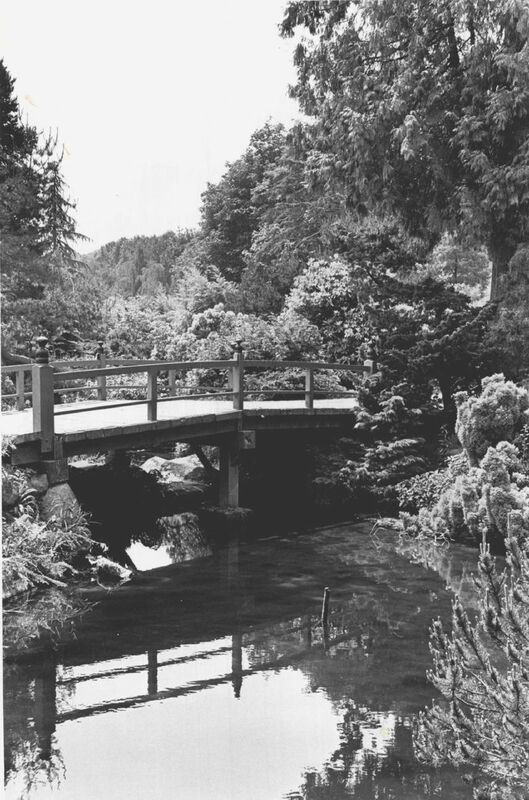 The gardens on the Seattle University campus and the Japanese Garden at Bloedel Reserve on Bainbridge Island are public examples of his finest work, but his crowning achievement is Kubota Garden. 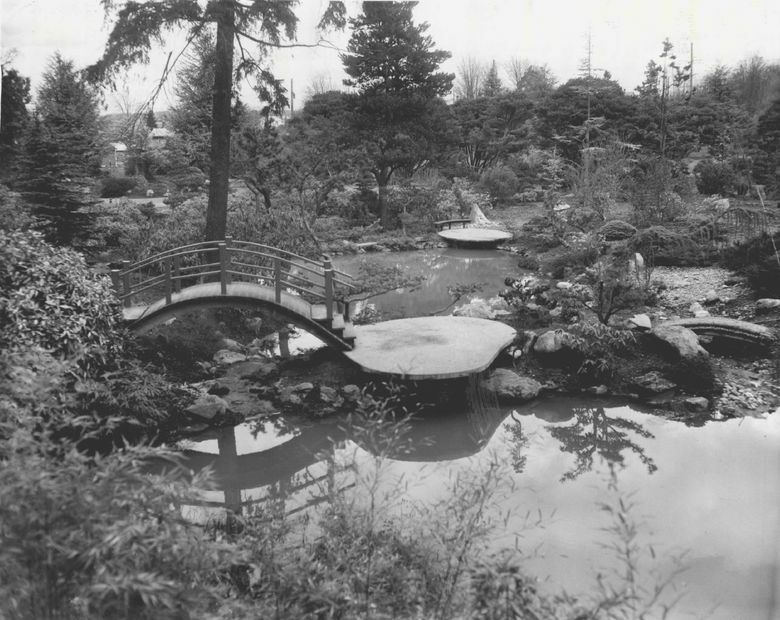 Kubota Garden began to take shape in 1927, when Fujitaro acquired 5 acres of logged-off swampland in an attractive setting of hills and valleys in the Rainier Beach neighborhood. Over the years, he bought adjacent land and soon owned 20 acres that served as a design and display center for the family landscaping business. Kubota Garden is located at 9817 55th Ave. S. in Seattle. It is open year-round during daylight hours. There is no admission charge. The Spring Plant Sale will be from 9 a.m. to 1 p.m. on May 5. For more information: kubotagarden.org. The Kubotas were famous for their expertise in moving huge trees, and the garden was used as a holding area where enormous, spectacularly beautiful specimen trees were stored until they were needed for landscape projects. Many of those magnificent trees were never removed and add to the majestic quality of the garden today. These days, the garden is densely planted with trees and shrubs and is crisscrossed with meandering trails. Due to the woodsy setting, it’s easy to find solitude in this 20-acre garden, even when the parking lot is full. The trails lead to numerous overlooks, each giving a different perspective of the garden. 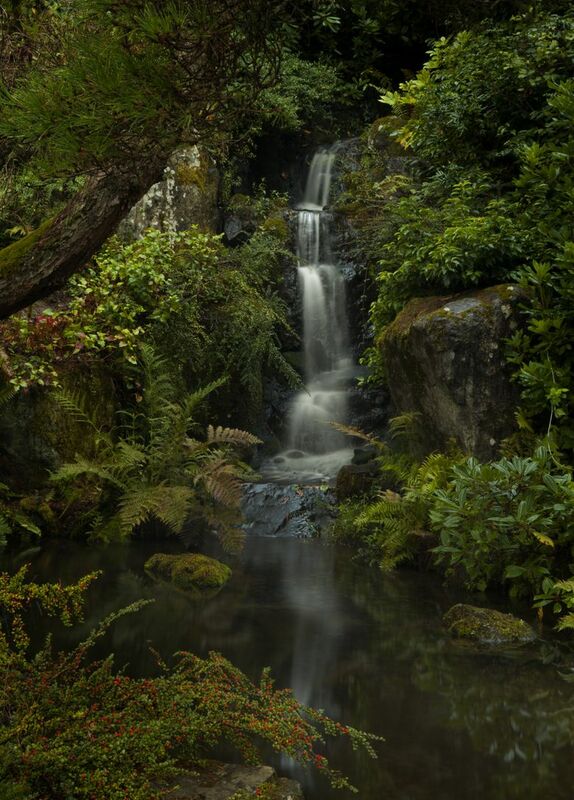 The heart of the garden, tucked deep in the woods, is the stunning Japanese Garden designed by Fujitaro. It features a mountainside that rises 65 feet, waterfalls, a moon-viewing platform, streams, ponds, stone bridges, lanterns, beautiful boulders, and perfectly shaped pines and Japanese Maples. The newest addition is a quiet strolling garden designed by Fujitaro’s late son, Tom Kubota, including a reflecting pond edged with gigantic stones, ancient lanterns, and beautifully shaped pines and maples. The Tom Kubota Stroll Garden also includes many places to sit, allowing the visitor time to absorb the surroundings. In 1987, the garden was saved from development when the City of Seattle acquired the site. By that time, the condition of the garden was beginning to deteriorate. Water features were leaking, trails and stairways were in disrepair, and many of the trees in the garden were in serious need of restoration. Don Brooks, who retired a few weeks ago as senior gardener — with the help of a small staff and neighborhood volunteers, and with the backing of the Kubota Garden Foundation — rebuilt ponds, repaired waterfalls, shored up trails and stone stairways, and expertly pruned and restored hundreds of trees and shrubs. Abandoned areas of the garden were landscaped anew. Trees and shrubs appropriate to the spirit of the garden were brought in to add color and form and to make the garden more interesting. When Brooks began working at the garden in 1987, there were only 25 Japanese maples. Now there are 225, including many rare and unusual varieties. Brooks and his staff also became experts at transplanting huge trees, and they used that skill to move mature specimens found hidden away to locations where they can be fully appreciated. The garden is supported by the Kubota Garden Foundation, a highly effective nonprofit corporation made up of volunteers dedicated to the care and enhancement of the garden. The foundation collects donations, organizes plant sales, provides free public tours, recruits volunteers, and handles publicity and capital-project resources for the garden. This year, working with the city, the foundation won a Metropolitan Park District Major Projects Challenge Fund that will be used to complete an ornamental wall at the northeast corner.